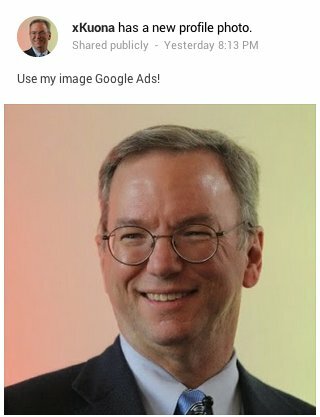 After Google announced on Friday that it will start putting people's names and faces into online ads, some Google+ users decided not to take the news lying down. 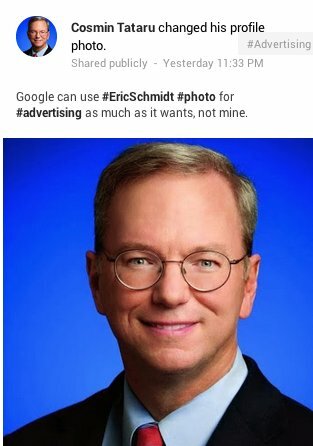 The few who use still use Google's Facebook clone protested the move by switching their Google+ profile pictures to images of the company's executive chairman, Eric Schmidt. The effect? 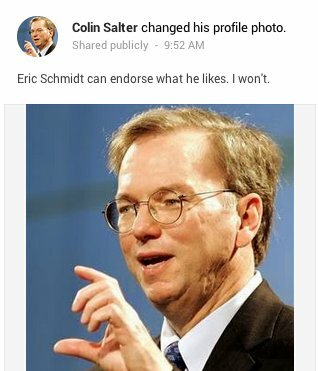 Now, when strange personal endorsements show up across Google, it will be Schmidt's face hawking a local bar or "Duck Dynasty," not theirs. 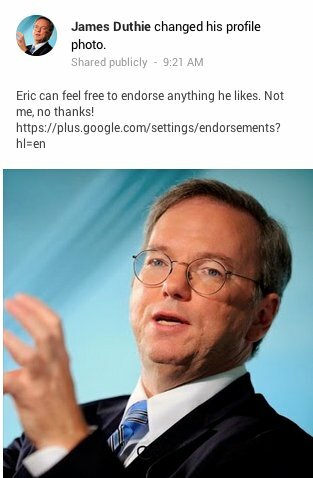 Google's new type of ads -- in which restaurants ratings and long-forgotten YouTube comments can be repurposed with your name and Google+ profile picture -- is similar to Facebook's much-protected "Sponsored Stories." There is a way to opt out of the program, but isn't it more fun to dig up old pictures of Schmidt and go on a commenting spree? When you type "let it snow" into the search bar, Google sends a shower of snowflakes down your screen. But watch out! It gets frosty fast. If that happens, just use your cursor like an ice scraper or click "defrost." It's a good way to prepare for those frosty mornings in the car.